An anthem is a song that has been propelled to a higher status through the support of it’s audience. It does this by uplifting people and encouraging them to sing along with the track. To turn a song into an anthem you must consider a few important factors such as the lyrics, tempo, timing and it’s ability to include the audience. There are no set rules about how to write an anthem but there are a few steps that could help you. Create a clear call and response segment to the song. Part of what makes an anthem is people chanting and singing it. Create a clear section of the song where people are supposed to join in. It could be a strong chorus or a formal call and response where the singer says one thing and the audience is supposed to reply with another. Make it easy to remember. This means writing catchy lyrics and accompanying them with catchy music or beats. 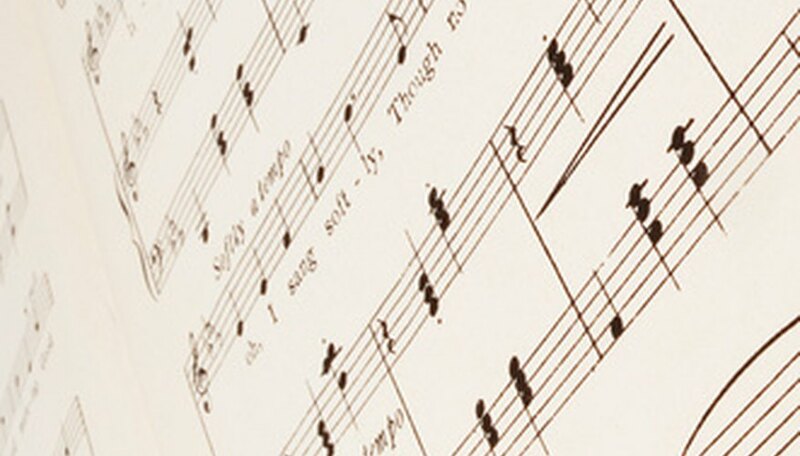 By making your song memorable and catchy it can soon turn into an anthem. Write lyrics that invoke passion. Base your lyrics on ethics, morals, convictions, unity or another powerful idea. Take this powerful subject matter and turn it into something people will sing. Set a slow to medium tempo. The most common tempo for an anthem is between 70 and 100 beats per minute. Don’t make your song too fast otherwise people may not be able to keep up with it. Time the release of your song to make it an anthem. Wait to release your song until it is relevant or needed. For example if you are writing a football anthem it would be appropriate to release it around a football event, this will make your audience associate the anthem with what it has been written for. A professional journalist since 2008, Joe Turner has written for the Manchester Evening News and CityLife online, and is currently writing for alternative music website livethescene.com as well as Alternative Magazine Online. Turner is a journalism student at the University of Salford.